If you can't get enough brackets this month, be sure to check out the Book Madness Tournament from the UW-Madison Libraries. In their first ever book tourney, a collection of 64 books in 8 genre divisions will be whittled down to JUST ONE champion book. We're just catching on to this now, but there's still time to get in votes for the second bracket! Will Contests, by Eunice L. Ross and Thomas J. Reid, is a single volume treatise that delves into the "strange hybrid form of litigation" (Ross, 1-3) that is a will contest. multi-party bank accounts as a lifetime transfer instrument. The next phase of the book gets into practical considerations for bringing, or defending, a will contest. Pretrial planning techniques and pleadings, discovery and evidence, trial and post-trial practice are all supported by the additional content in the appendices. While the appendices provide helpful practice guides like complaints from 20 jurisdictions, interview checklists, and pattern jury instructions, the supplementary materials are based on a sensational fictional premise. This treatise comprehensively covers all facets of contested wills but does so in a playful sort of way, a throwback to your days in law school when professors invented creative scenarios to test your intellect. 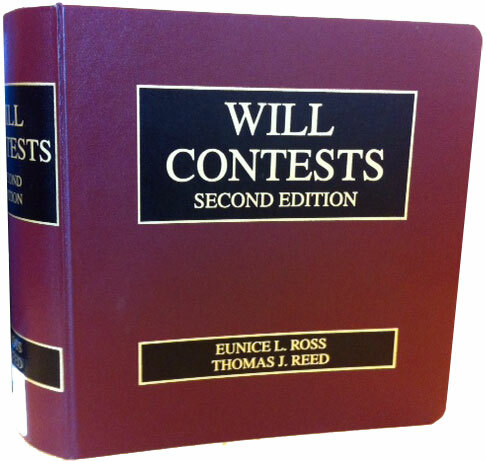 Will Contests, last supplemented in October 2012 and updated annually, is available for check out from the Wisconsin State Law Library location. Sign up now to reserve a spot in our June legal research class: Researching Wisconsin Legislative History: Sources and Strategies. When: Tuesday, June 18, 9:00-11:00 a.m. I need the legislative history of a Wisconsin statute. Where do I start? What do I do? Get answers to these questions and more by attending this class. Participants will look at the primary resources used to research Wisconsin legislative history, navigate the online Wisconsin legislative drafting files, and learn some time saving tips and tricks along the way. 2 CLE credits pending. Fee: $69. Registration is limited to 8. Register online or print and return a registration form. Act now to sign up for our new webinars on using HeinOnline. These webinars are available at the low introductory rate of $20. Sign up for the 2 pm class this Thursday, or next week's 9 am Tuesday class. Accessing Wisconsin Appellate Briefs: How to search for briefs on the WSCCA database.